Is this part of Anaesthesiology 101? According to a just-published Canadian study, it’s standard fare for anaesthesiologists in training. The paper is based on interviews with 49 young resident at a couple of major Canadian hospitals. Are these hospitals freakish outliers? Or does the study reflect a broader culture of shame and blame? If so, are Surgeries especially prone? I must declare a bias. My team and I are lucky enough to work with fine hospitals in which such behavior is unthinkable. But we have the privilege of choosing who we work with. The authors have done a great service. Hopefully, the study will trigger much-needed soul-searching, and more importantly, better checking. 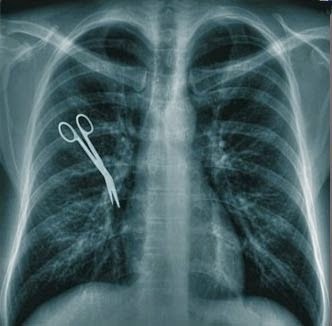 To wit, at present surgery is a black box. How do you know a surgery is Okay or Not Okay? And its corollary: What are the end-of-pipe and process measures that help to answer the question? So far, nobody has been able to provide a satisfactory answer.